The 4th generation Palmaris reserves are presented under the name Palmaris, meaning ‘prize-worthy’ in Latin. Palmaris is a name we reserve for wines of substantive character and distinction made only in superior vintages. 2017 was a fine growing season in the Outer Coastal Plain, characterized by rainfall and temperature conditions which allowed for maximum fruit maturity by late season. 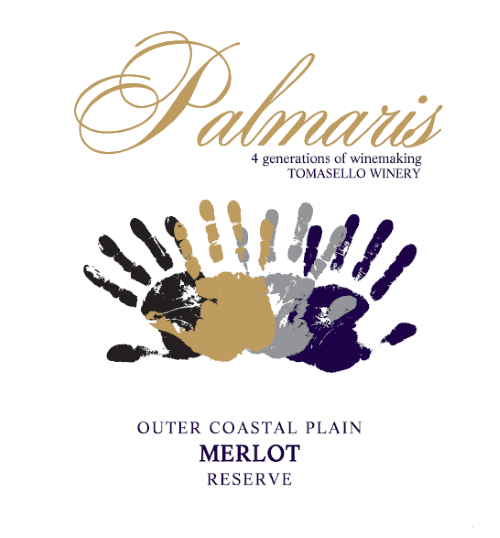 Our first release of a Palmaris Merlot grown in our Outer Coastal Plain vineyard. This wine is 100% Merlot made from grapes harvested from our vineyard on September 24, 2015 at 24.2 degrees Brix. The macerated must was fermented in contact with the skins for 14 days and subsequently transferred to oak for a period of 17 months. Malolactic fermentation was effectuated and the wine was bottled in August 2017. The Palmaris 2015 OCP Merlot is a full-bodied red that needs aeration to develop its fullest nose and character, so please decant prior to serving. We hope that you will enjoy this fine wine with a fine meal while in the company of good friends.